Bill Gates graduates from Harvard - at last! Bill Gates is to graduate from Harvard, 34 years after he first studied there. The Microsoft founder and chairman will speak at Harvard University 's commencement ceremony in June and - like all commencement speakers - will receive an honorary degree from the university. Unlike his fellow graduates, it's doubtful that Gates' graduation will make much difference to his CV or future prospects. Last year, Microsoft raked in $44 billion. But Gates is still likely to feel proud of his achievement. Bill Gates enrolled at Harvard University in 1973 and got to know Microsoft's current CEO, Steve Ballmer, whilst living in the same halls of residence. The students both shared an interest for computer programming. At Harvard, Gates developed a version of the Basic programming language for the first microcomputer, MITS Altair. He dropped out of his course in order to work full time at Microsoft, the company he had started with childhood friend Paul Allen. Bill Gates will receive his honorary degree at a Harvard ceremony on 7 June. In July he plans to step down from his Microsoft duties to focus on his philanthropic work for the Bill and Melinda Gates Foundation . 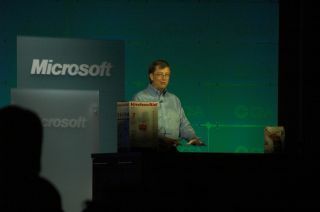 He will remain as chairman of Microsoft.